We are pleased to announce our participation in the 5th edition of the Moscow World Fine Art Fair 2008. Described as the most exclusive fair in Eastern Europe, it features annually about eighty of the finest international dealers from around the world. 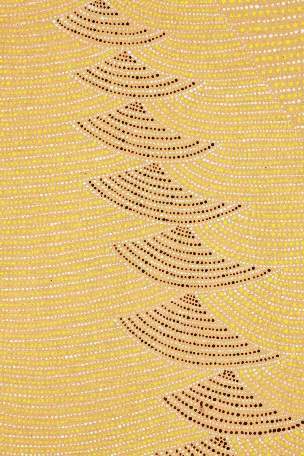 Lauraine Diggins Fine Art is the only Australian gallery invited to participate in this prestigious international art event, and it will be our pleasure to unveil before the Russian and international public a representative selection of works by leading Aboriginal artists. Our exhibit includes paintings by Elizabeth Kunoth Kngwarray, Genevieve Kemarr Loy, Boxer Milner, Lilly Kelly Napangardi, Walangkura Napanangka, Ningura Napurrurla, Angelina, Poly and Kathleen Ngal, Gloria Tamerre Petyarr, Kathleen Petyarre, Nancy Kunoth Petyarr, Ngoia Napaltjari Pollard, Cowboy Loy Pwerl, George Ward Tjungarrayi, Willy Tjungurrayi, Turkey Tolson Tjupurrula, Judy Napangardi Watson and others.